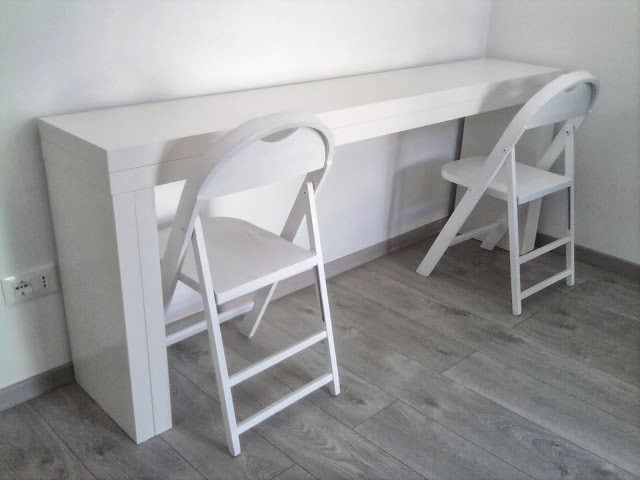 Furniture console: a relic of the past? Date of publication: August 02 2014 . No wonder they say that fashion is returned. But it's not just clothing, it fully applies to furniture. And now we tell you how. At the center of today's rework - console. Not so long ago, furniture console had a decorative purpose and were deprived of all sorts of functionality. They could perhaps that deliver graceful vase, a large clock or chandelier. Management did not give specific functionality, as This piece of furniture is mainly found in the luxurious interiors, where all furniture basically had only consistent with the overall aesthetic appearance and in harmony with the rest of the pieces of furniture. The word "console" has its own history. In classical architecture, called the console ledge in the wall, which serves as a support. In terms of design furniture, console also almost devoid of practical purpose. But we, in spite of the history and design postulates, try to refute this information and build something similar to the console, but the practicality and functionality. 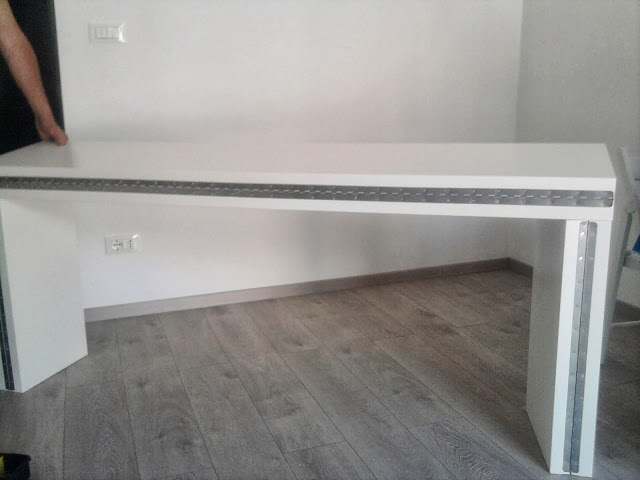 For this we take side table MALM sizes 191 * 36 * 73,5 cm and metal hinges. Thus, in the closed position it will be accurate near-wall console and in the open - a dining table. Side tables to rework need two. 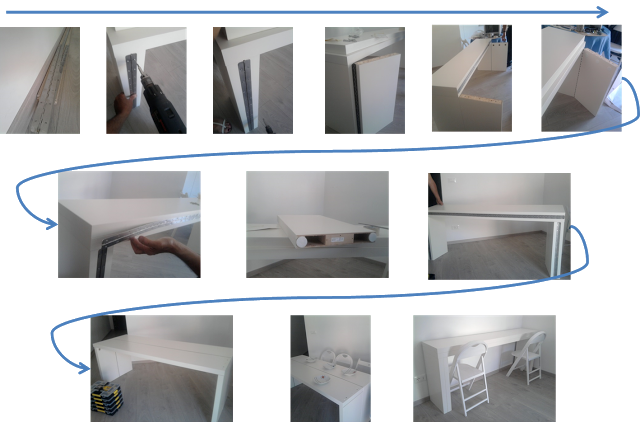 Putting the first table Malmo, take the second leg and attach them to the legs of the table already assembled by bolted to one side of the loop. 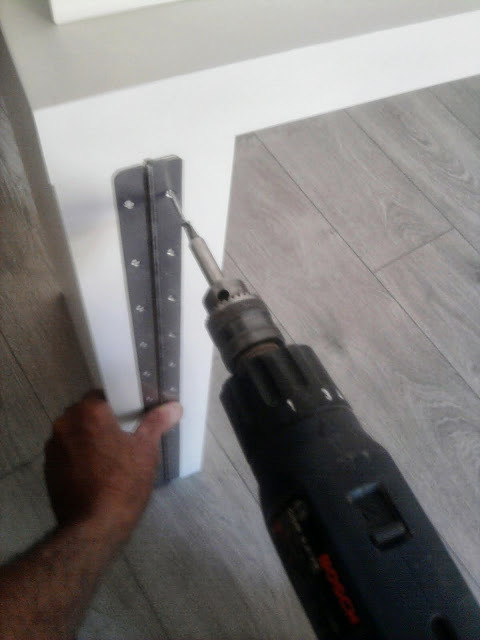 Then take a countertop from the second side table MALM and attach it to the already assembled structure, also attach on the larger side by a hinge. Ugly and very useless in terms of functionality side table turned into a full-fledged dining table for a large number of guests or simply for a large family. Yet such an interesting piece of furniture as a console, and can be present in the interiors, even today. You can not call a thing of the past convenient console that after the alteration takes half the space. Really liked the idea to modernize the dining table in Side!